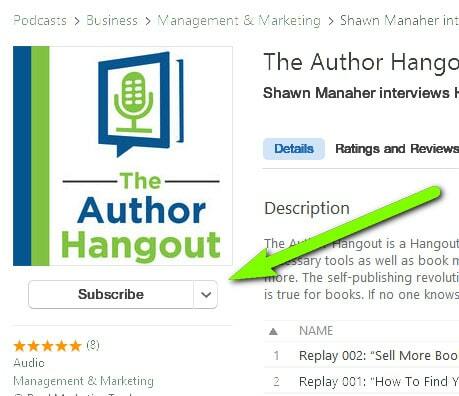 Here at Book Marketing Tools, we work hard to bring you great guests who share tons of great information on our weekly podcast, The Author Hangout. But, the most important part of the podcast is YOU, the listeners. 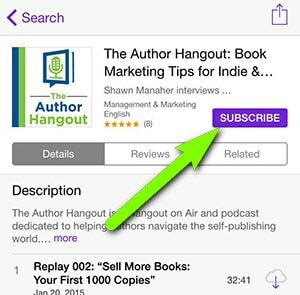 Just like a book needs more reviews, reviews help our podcast reach more listeners and authors just like you. 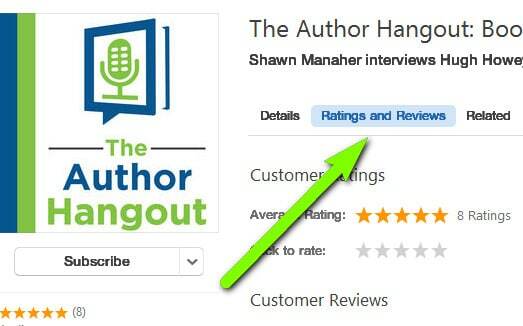 Can you take a second and leave a review for The Author Hangout? We’ll walk you through exactly how to leave a review below, in case you are unsure. 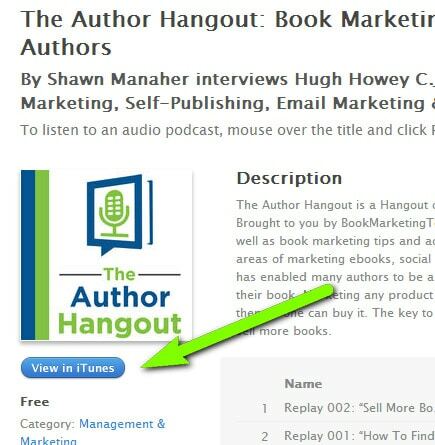 Click here to go to The Author Hangout page on iTunes. 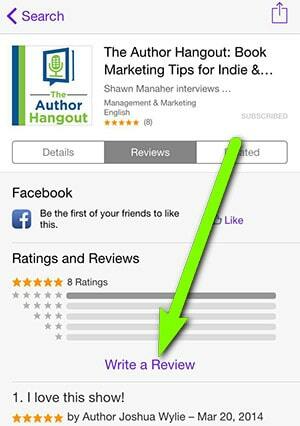 4) Click the star rating, enter a title, and leave a short review. Be sure to click “submit” when you’ve finished filling out the review! This will allow you to receive all new episodes directly on your computer. 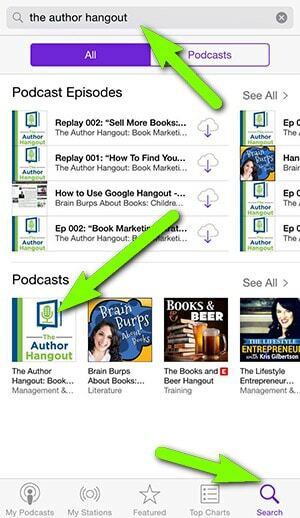 1) Open the podcasts app on your iPhone/iPad. If you don’t have it, you can click here to download it. 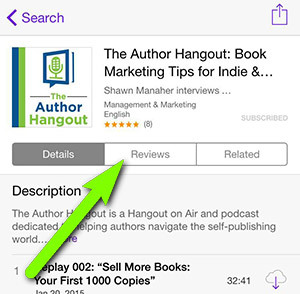 2) Click the search tab at the bottom, search for “The Author Hangout”, then click the album cover under “Podcasts”. 3) Click on “Subscribe” so you get every new episode! 4) Click on the “Reviews” tab. 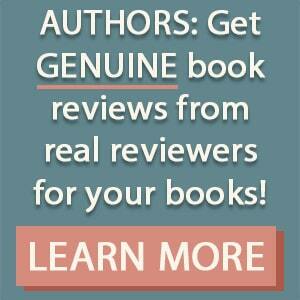 5) Click on “Write a Review”. 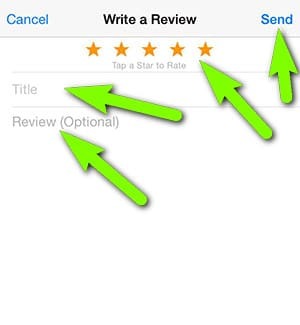 6) Enter your star rating, a review title, and your short reviews… then click “Send”. Don’t forget to hit send!